Abstract: The Internet of Things (IoT) is starting to grow exponentially with applications ranging from consumer electronics and smart homes to intelligent transportation and smart cities. We present an overview of more than a decade of academic research on algorithms and protocols for IoT at USC, from networking low-power devices to location services, as well as ongoing research and development efforts pertaining to privacy-sensitive and secure middleware, experimental testbeds, and online reinforcement learning for IoT systems at the USC Viterbi Center for Cyber-Physical Systems and the Internet of Things. We also describe our ongoing work on developing a large-scale campus-wide IoT testbed at USC. And we highlight an interdisciplinary effort to develop and implement a new “marketecture” that we refer to as I3 (for Intelligent IoT Integrator). This work aims to provide incentives for device owners to share real time streaming sensor data as well as access to actuators with third-party application developers, and as an open ecosystem that allows for buyers, sellers and data-processing brokers to easily and scalably link to each other. 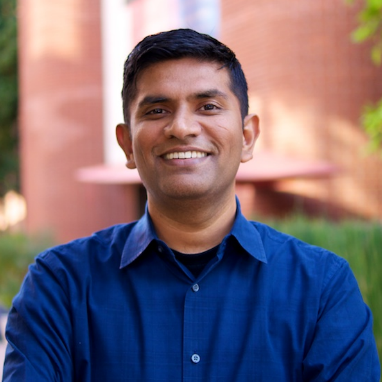 Bio: Bhaskar Krishnamachari is Ming Hsieh Faculty Fellow and Professor of Electrical Engineering and Computer Science at the Viterbi School of Engineering at the University of Southern California. He is Director of the newly established USC Viterbi Center for Cyber-Physical Systems and the Internet of Things (CCI). He has co-authored over 200 papers on next-generation wireless networks, collectively cited more than 20000 times (per Google Scholar). His work has received several best paper awards including at IPSN and Mobicom. He has received the NSF CAREER Award and the ASEE Terman Award for outstanding electrical and computer engineering educators. In 2011, he was listed in MIT technology review magazine’s TR-35 list of top 35 innovators under the age of 35, and in 2015 was named one of Popular Science magazine’s “Brilliant 10”. He is the author of a textbook titled Networking Wireless Sensors published by Cambridge University Press, and has served an editor for the ACM Transactions for Sensor Networks and the IEEE Transactions on Mobile Computing.